For some folks, the most wonderful time of the year is not Christmas, but Halloween. The costumes, the candy, the decor and the mirth that accompanies “spooking” can easily rival jolly Ol’ Saint Nick’s festivities. Now is the time plan for parties and carnivals, and we found some hilariously awesome treats to share. Not only will these treats rule your carnival’s bake sale, but they will leave everyone laughing. 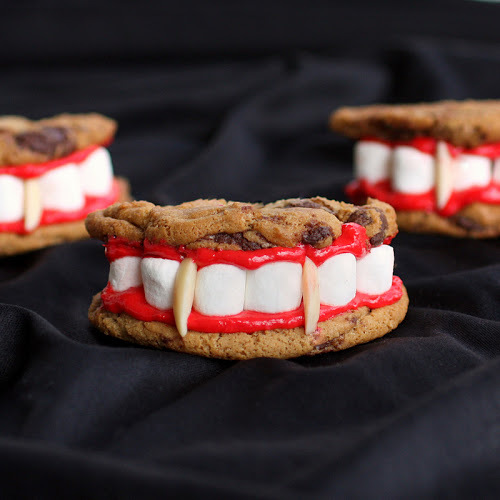 Munch on this delicious concoction that is Drac’s teeth. Chocolate chip cookies, marshmallows, frosting, and slivered almonds make up these delicious dentures. Tip: these treats would make great favors when wrapped in a cellophane bag. Looking for something savory to serve? 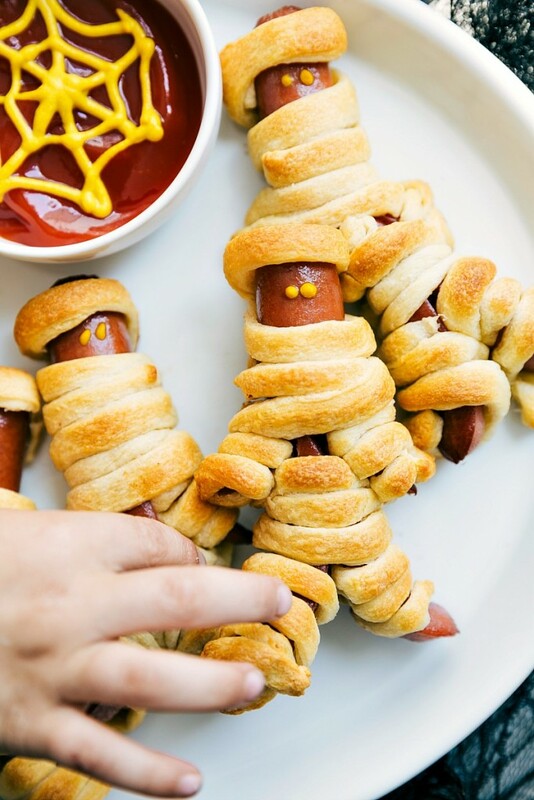 These Mummy Dogs are a perfect snack for folks who are hungry as well as those who just want to taste. Ketchup and mustard are your usual suspects for dip, but get creative and find a more daring alternative with spicy mustards, aioli sauce and even chili for yummy dips. 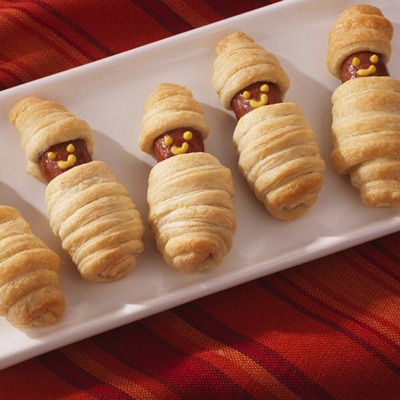 With two ingredients–crescent rolls and hotdogs–these snacks are a cinch. Get the recipe and instructions here. And how cute are baby mummies? For this recipe you just sub the hotdog for Little Smokies. You can’t get through a Halloween bake sale without a friendly nod to witch’s warts. Gross, yes, but there is no escaping this age-old trope. We recommend implementing it in an easy way: dipped pretzel sticks. That’s right, all it takes is some candy melts, food dye and pretzels to give you a snack worth gabbing about. These treats would look cute splayed out on trays in groups of five. You know–really grab at them with your display. 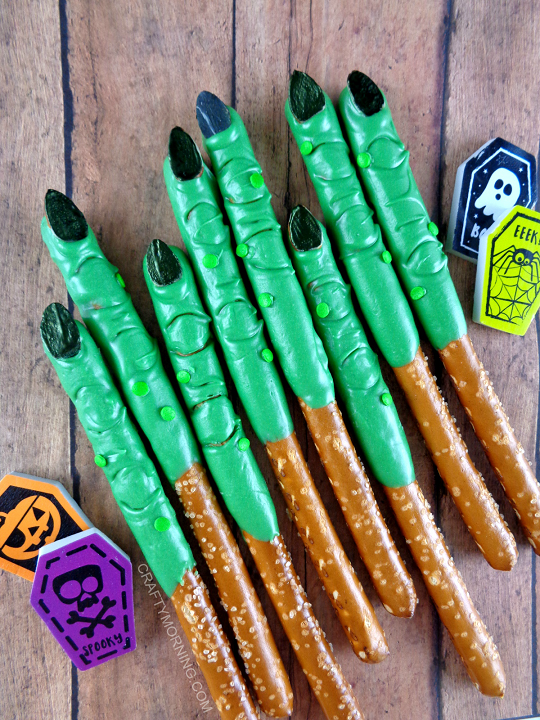 Check out this recipe for step-by-step instructions for the perfect Witch Fingers. 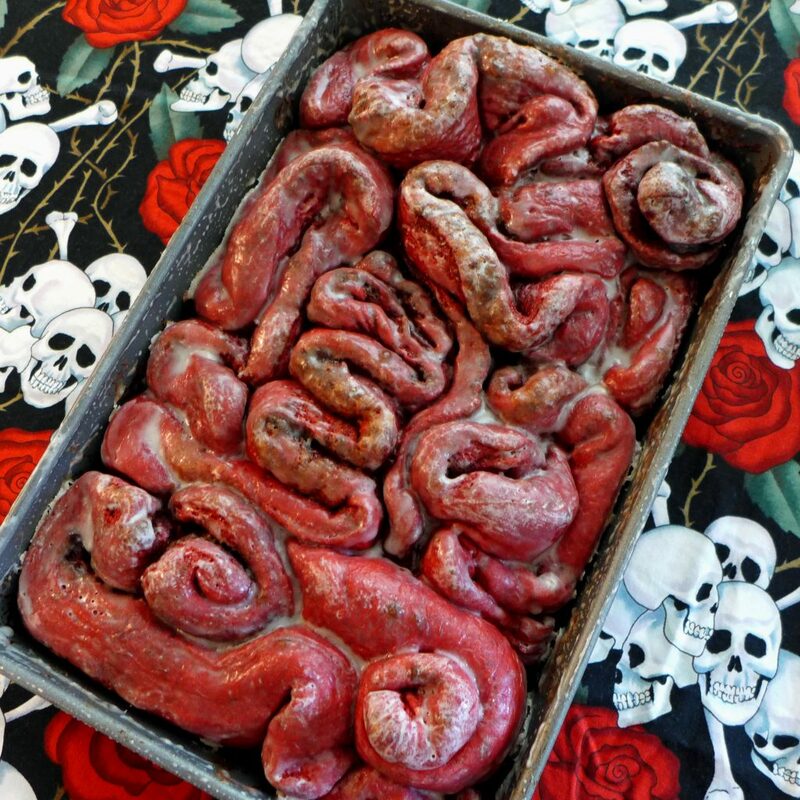 This next treat is not for the faint of heart–or should we say stomach? 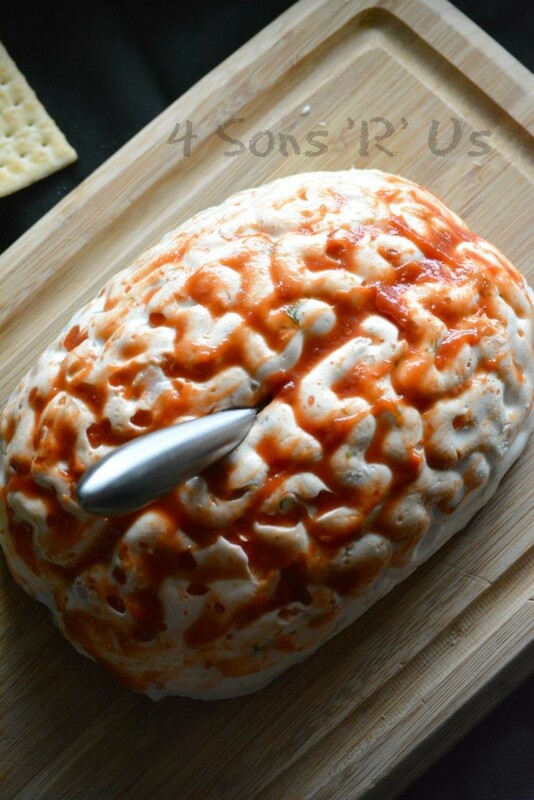 While it combines all the best things such as shrimp, cream cheese and cocktail sauce, it marries them together in a brain-shaped mold. The result is a devastatingly realistic looking brain. As long as you can get past the initial “incision,” you should be able to enjoy this shrimp dip with chips, crackers or bread. Check out the full recipe and instructions here. So maybe you don’t have a brain mold handy. I know I don’t, and if the recipe is easy I’m more likely to try it. That’s why these Monster Donuts are so awesome! There is no baking involved, just head over to your favorite donut shop and grab a dozen. 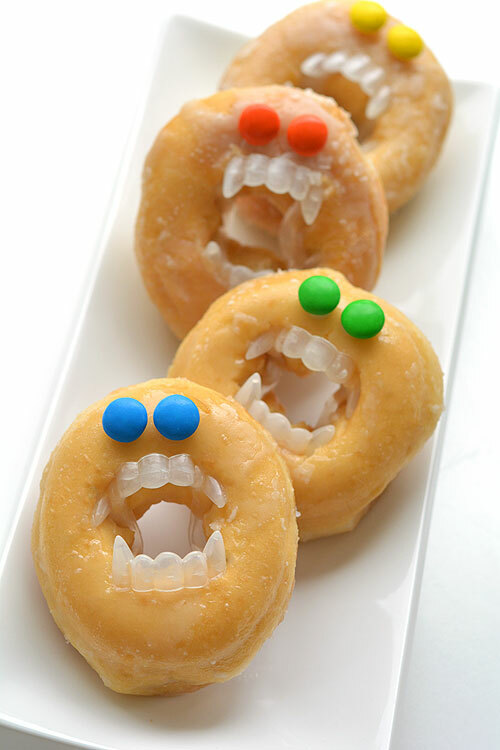 You can purchase sets of vampire teeth at the dollar store and add a bag of M’n’M’s to complete this adorable treat. We found this idea on One Little Project. 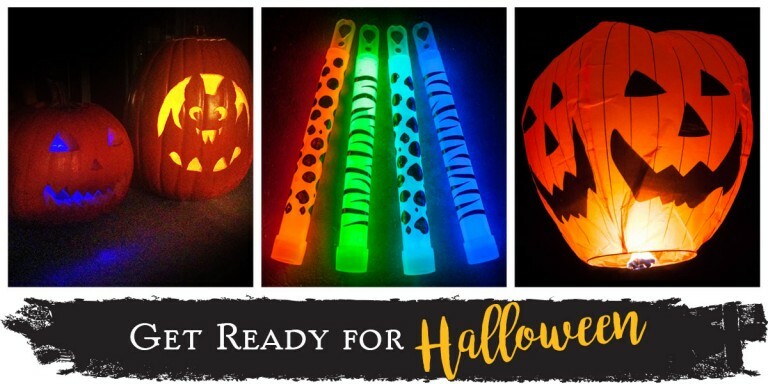 Be sure to check out her site for amazing Halloween ideas! If you’re looking for a snack that satisfies your vegan and gluten-free friends, these Silly Apple Bites are just the thing. This recipe uses sunflower butter to hold together two apple slices and a strawberry tongue. 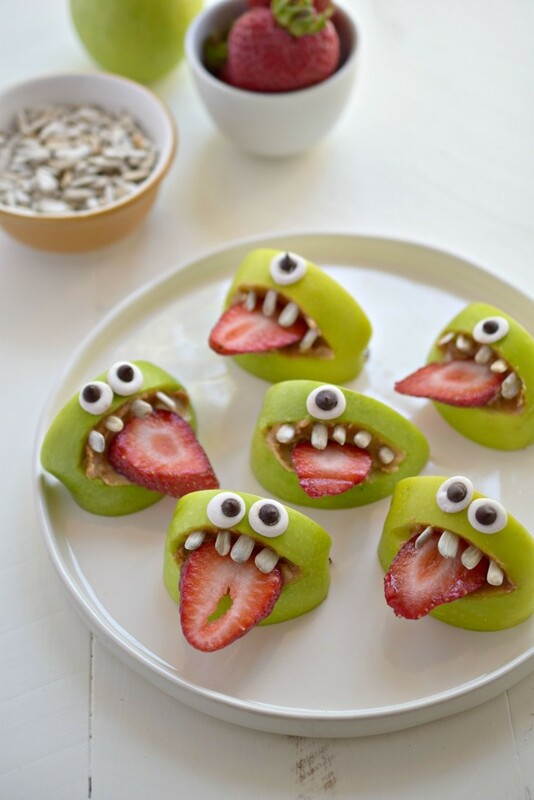 Sunflower seeds make up the teeth, and the googly eyes are made from this vegan friendly recipe. If the Shrimpy Brains grossed you out, get ready for another dose of gross. What happens when you take a beloved comfort food and disguise it as something gruesome? Mind numbing confusion, that’s what. These red velvet cinnamon rolls scream, “Don’t touch with a ten-foot pole!” but they smell like Grandma’s house and Christmas. Maybe just close your eyes while eating them. If there’s one smell associated with fall (besides Pumpkin Spice Lattes), it’s apple cider. 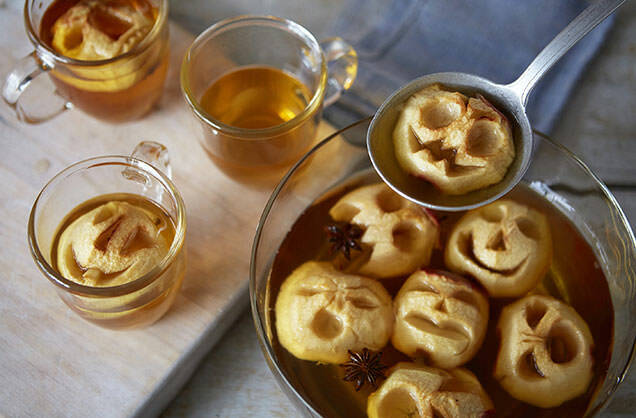 Mulling up your cider is a yummy treat, and you can add the funny factor with these “shrunken” apple heads. Achieve the shrunken-head look by baking the carved apples on a low heat for a few hours. Not only will you get a creepy treat, but your house will smell amazing! What pairs nicely with Shrunken Head Punch? 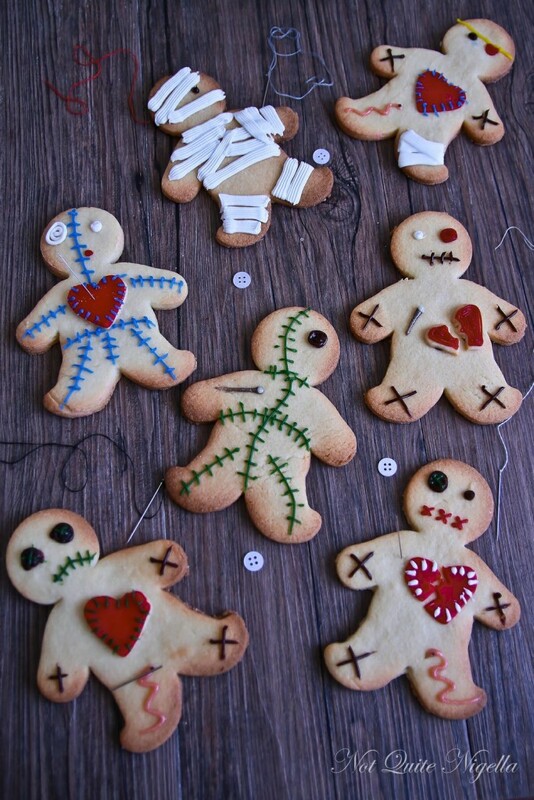 Voodoo Doll Cookies, of course. Like we said earlier, Halloween totally rivals Christmas and this recipe certainly proves it. Put your cookie cutters to use early and delight your guests with these spooky guys! Wrap them in cellophane and gift them to friends and teachers to spread Halloween cheer [wink]. 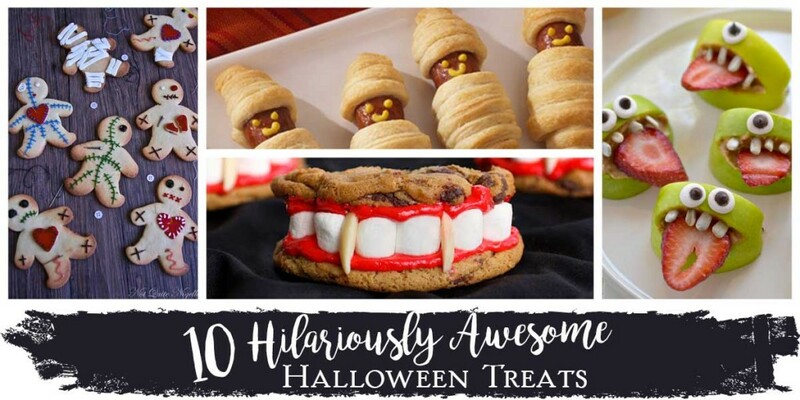 Whether you’re going for scary, gross or punny, we hope these treats gave you some inspiration for Halloween. As you plan for your parties and carnivals, check out this post to help you get Halloween ready!